The US Commodity Futures Trading Commission’s (CFTC) Technology Advisory Committee (TAC) recently held a public meeting discussing the adoption of distributed ledger technology (DLT) and crypto regulation. During the meeting, the TAC heard presentations and actionable recommendations from its subcommittees on Automated and Modern Trading Markets, Distributed Ledger Technology and Market Infrastructure, Virtual Currencies, and Cyber Security. 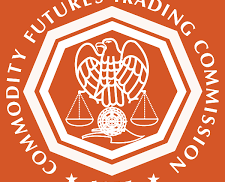 They also heard about research findings on automated orders in the futures and options markets from the CFTC’s Division of Market Oversight, as well as several guest presenters. The TAC’s Virtual Currency Subcommittee first heard a presentation from Peter Van Valkenburgh, Director of Research at Coin Center, who spoke on various consensus mechanisms used for virtual currencies. Regarding this topic, CFTC Commissioner Brian Quintenz said in his opening statement that the Ethereum Foundation’s plan to shift to a proof of stake consensus mechanism at some point in the future raises important questions for both market participants and regulators, including how the use of either mechanism affects the likelihood that a bad actor could manipulate or falsify the ledger. “These issues are also among the many topics on which the Commission recently sought comment in a Request for Information about the evolution of the cryptocurrency market and potential new virtual currency-based futures and derivatives products,” Quintenz said. Following Valkenburgh’s presentation, the TAC heard a presentation from Kathryn Trkla and Charley Mills from the American Bar Association (ABA), which recently published a comprehensive overview of the current federal and state regulation of virtual currencies and digital assets, along with identifying key policy areas for additional consideration. The Distributed Ledger Technology and Market Infrastructure Subcommittee also discussed the current state of DLT, including challenges toward more widespread adoption and potential use cases. They explored specific areas where CFTC regulation may be inhibiting the adoption of DLT or additional areas where further guidance from the agency could support further development. Lastly, the TAC discussed a report by the International Swaps and Derivatives Association (ISDA) about the recent release of the Common Domain Model 2.0 for interest rate and credit derivatives.